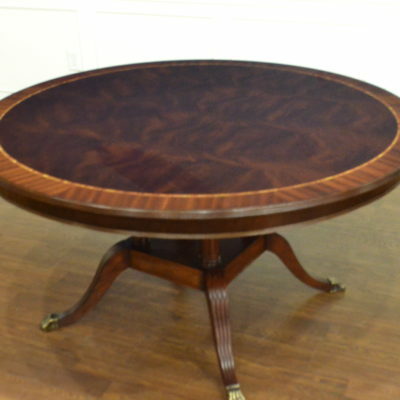 This is our largest Round Perimeter Leaf Mahogany Dining Table. 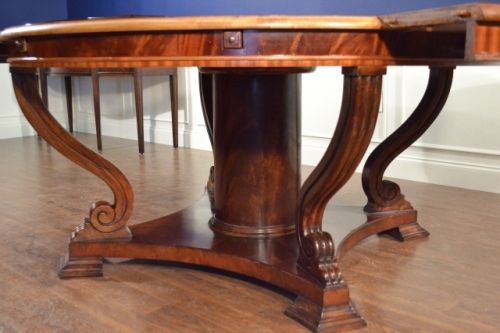 It has an Impire style pedetal with a swirly crotch mahogany center and four serpentine carved legs. 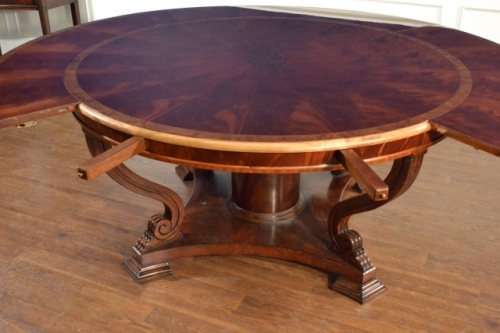 The top has a pie-cut swirly-mahogany field which originates from a burled walnut center. 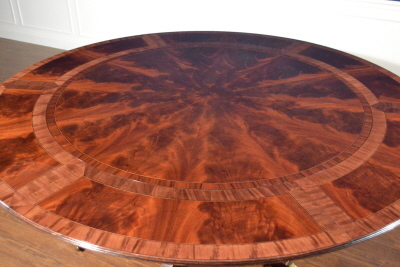 The boarder of the table is also burled walnut. 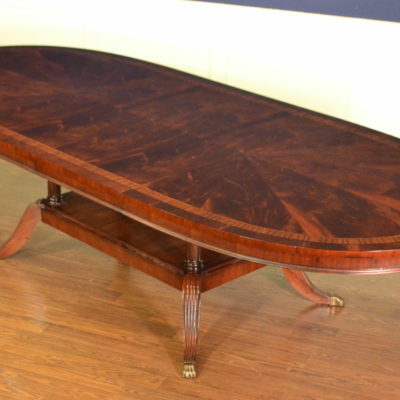 It has four perimeter leaves which also have a burled walnut boarder. Dimensions: 62 in. diamter center portion, 88 in. diameter with leaves attached.